As per Allsportspk readers request as and when any of the ranking is announced it is being published. Currently, from Men’s cricket rankings only Test players rankings have been updated. From Women’s cricket only team rankings have been updated. 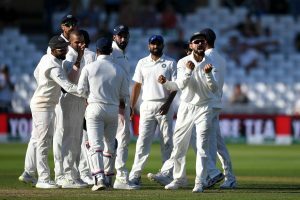 After losing 4-1 to England, India retained it’s top position as the No.1 test team. While, England, jumped from the 6th to the 4th position in the Men’s Test team cricket rankings. 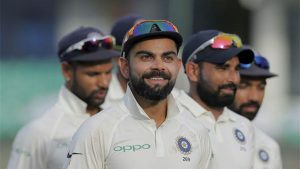 Virat Kohli failed to score big in the 5th and final test against England, however he successfully maintained his top position as the No.1 batsman in Men’s Test cricket rankings. Meanwhile, Joe Root who scored his much awaited century in the 2nd innings of the 5th test, moved to the 4th position. Alastair Cook who scored 71 in the 1st and 147 in the 2nd innings of the 5th test, moved to the 10th position. Other significant upgrades were of Lokesh Rahul, Jos Buttler and Temba Bavuma who are now placed at 19th, 23rd and 35th position respectively. 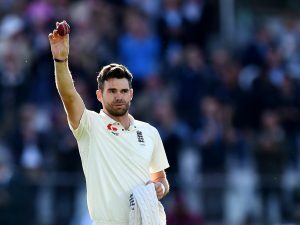 James Anderson overtook Glenn McGrath to become the highest wicket taker in fast bowling history, and maintain his rank as the top bowler in Men’s Cricket rankings. Meanwhile, Mohammad Shami dropped down in rankings’ owing to his bad performances in the 5th test. Some of the other significant upgrades were of Vernon Philander, Kemar Roach and Dale Steyn who are now placed at 3rd, 19th and 22nd place respectively. 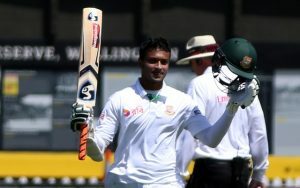 Shakib Al Hasan retained his position at the top while Ravindra Jadeja’s vital score in the 5th test, took him to the 2nd spot, in the Men’s Allrounder test cricket rankings. Stuart Broad also jumped in ranks, and is now placed at the 15th position. Some of the other upgrades were of Kemar Roach, Mehedi Hasan and Graeme Cremer who are now placed at 23rd, 28th and 33rd place respectively. For Women’s cricket rankings, move on to the next page! Illegal Bowling Action: Muhammad Hafeez’s True Love Story?